MALTA RESORT PRODUCTION SHOW CASTING! An all-inclusive contract including monthly salary, flights, meals and accommodation all included. Part of a team of 18 dancers, singers and aerialists performing powerful and exciting production shows in 2 of Malta's top family resorts! These are not average holiday resort production shows, we are seeking highly professional performers. Please include updated CV, RECENT photos, updated video show-reel. When applying, please make clear the position you are applying for. Only apply for positions if you fit the full brief. Please ensure all video footage and photos are RECENT and your CV is up to date. Versatile singers with ability to sing Pop, Musical Theatre, rock (able to learn some songs in foreign languages) Ability to learn a large repertoire of production songs. Must have a great look, dance ability or able to move, young & fresh appearance with ability to lead production shows. Must maintain a healthy and fit lifestyle. PREFERABLY – BARITONE/TENOR & SOPRANO. 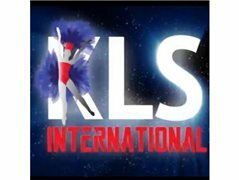 Versatile dancers with great flexibility (flat splits, box splits, great lines) excellent jazz technique with ability in ballet, partner work, commercial, lyrical, cabaret showgirl style. Pointe/tap/Irish/Latin Rhythms are an advantage but not essential. TRICKS/TUMBLING also an advantage! (Please inform us what tricks you have.) Must have a great look, toned and athletic physique, maintain a healthy and fit lifestyle. Must be able to learn very fast paced, demanding choreographies for numerous shows in a short amount of time.